The paperless office. Just like the zero inbox it is a pipe dream for me. 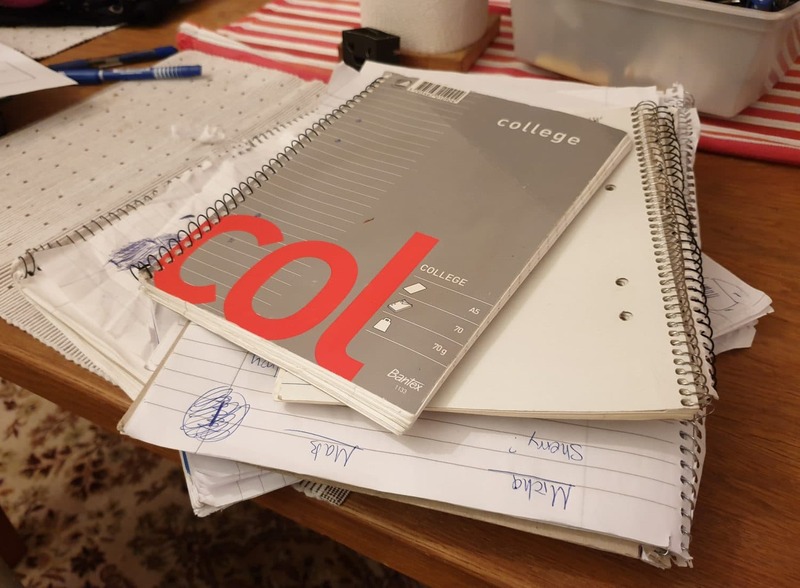 Even though as a developer I code a lot and thus work with a lot of digital tools nothing compares to writing notes on paper either when I am in a meeting, planning a project or just try to think up solutions to a project. According to studies it does indeed help to write things down as it boosts memory and makes it easier to recall concepts. Just a small sample of the notepads I’ve been collecting. What does that mean? Well, I have a ton of notepads lying around. Notebooks that contain things I sometimes need later and in many cases things I no longer need. And a lot of dead trees. 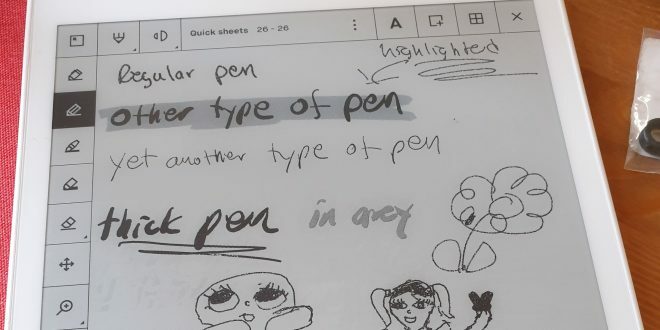 The reMarkable Paper tablet, a digital notepad, promises to change this by offering a digital notebook that mimics a regular notebook. Have I finally found the replacement for all those notepads? Read on to find out. Let’s look at the specifications. Let’s get one thing out-of-the-way first. This is not a iPad-competitor. It does not do entertainment (except e-books), it does not play games, it does not have full color screen. It is easy to see this as a “tablet” and conclude that you already have one or might as well go with the iPad instead. I’m going to use one of reMarkables own images here to demonstrate the difference between a proper tablet and the reMarkable. After using this tablet for a few months I fully agree. While a proper tablet can do everything but it then also is easy to get distracted, the reMarkable lets you focus on one thing, note taking. 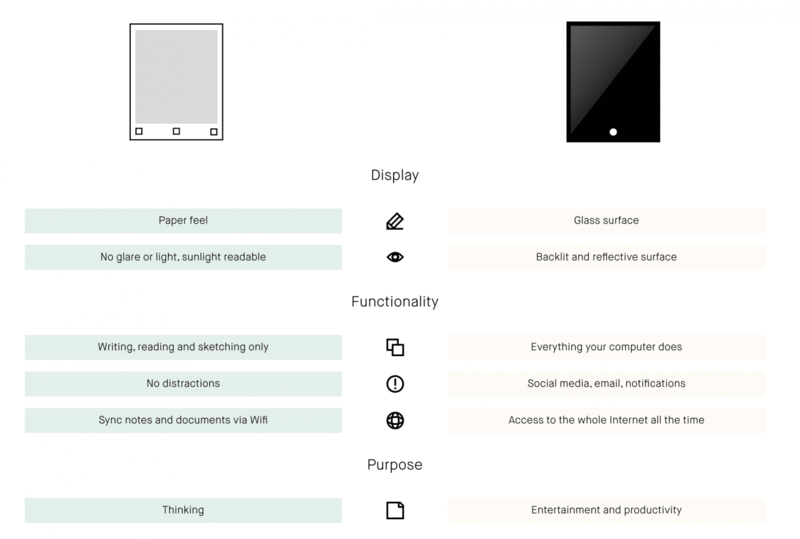 The main feature of this tablet is its touch-enabled E-Ink screen. At 1872×1404 resolution (226 DPI) it does not have super-high density but it is definitely high enough for its need. This works well together with the Pen. This is a non-powered pen that offers 2048 levels of pressure sensitivity and uses a special replaceable pen-tip. The screen is covered by some plastic that not only removes the glare you can get from glass-screens but also makes it pretty unbreakable. I guess you can scratch it but over the weeks I’ve used it I have not yet gotten a scratch.